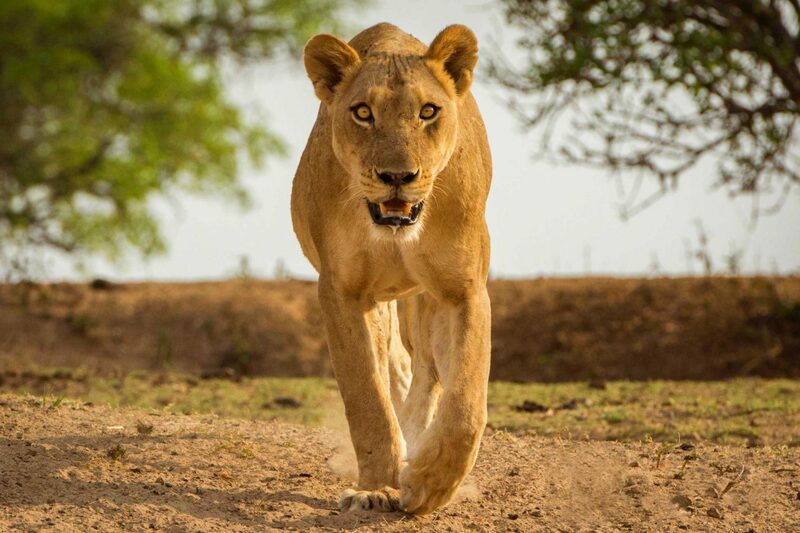 The spectacular South Luangwa National Park in Zambia is considered by many to be one of the greatest wildlife sanctuaries in the world; and not without reason. 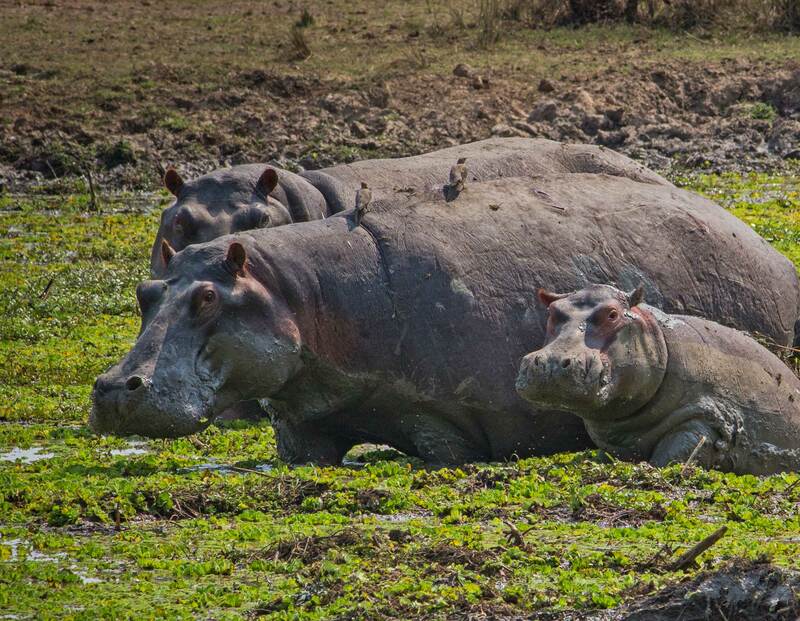 The concentration of animals and birds along the winding Luangwa River and its lagoons is among the most intense in Africa, providing an unrivalled safari experience. 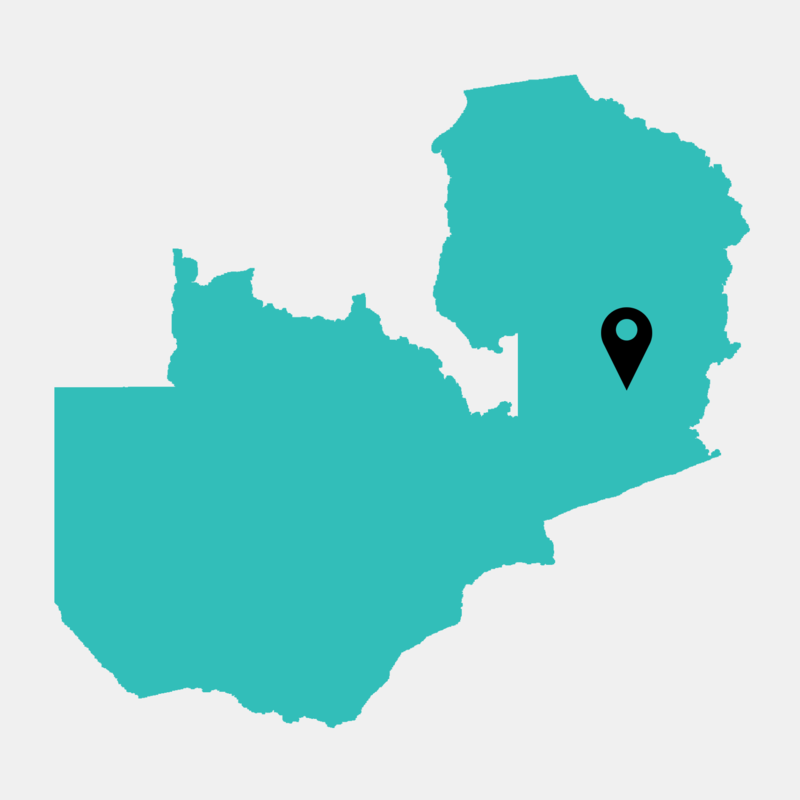 However, like many areas rich in wildlife, poaching for bush meat and ivory has increased in the Luangwa Valley. 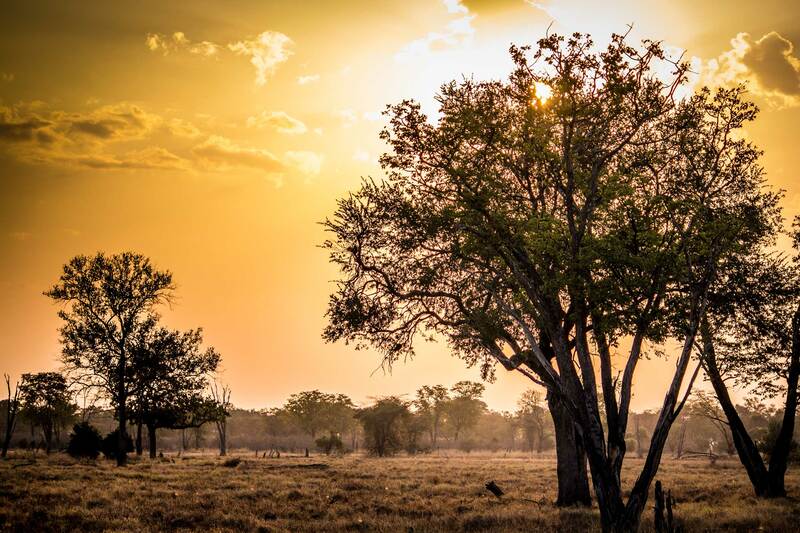 On a recent trip to the South Luangwa National Park, I was fortunate to meet Derek and Jules Shenton who operate two small safari camps in the area: Kaingo Camp and Mwamba Bush Camp. Dedicated to preserving Zambia’s wildlife, Derek and Jules have spent decades working alongside local conservation agencies such as Conservation South Luangwa (CSL), to reduce the number of poachers in the area and minimise the damage poaching inflicts on the environment. In the early 1990s, Derek and his team caught a poacher in the park who claimed there were another 50 poachers operating in the area at the time. During this period, Derek and his team spent much of their time extinguishing fires started by poachers, who will often ‘burn out’ an area to make animals more visible and easier to catch. In 2000, desperate to the stop the destruction, Derek came up with the idea of establishing a safari camp. He believed a small tourism presence in the area would deter poachers. After three years of working through paperwork and red tape, Derek was finally granted permission to develop the area, and work soon commenced on building the Mwamba Bush Camp. A month before the camp was due to open; Derek interrupted a group of poachers chasing a hippopotamus.He fired shots to scare the poachers away and reclaimed the area for wildlife. The number of poachers in the area around the camp has continued to decline and Derek reports he hasn’t encountered a poacher this year. Improving access to injured or snared animals plays a vital role in protecting wildlife. Every year — after the rains — the Shentons and their team, work tirelessly, digging access routes for vehicles, enabling the team from CSL to reach a scene as quickly as possible. 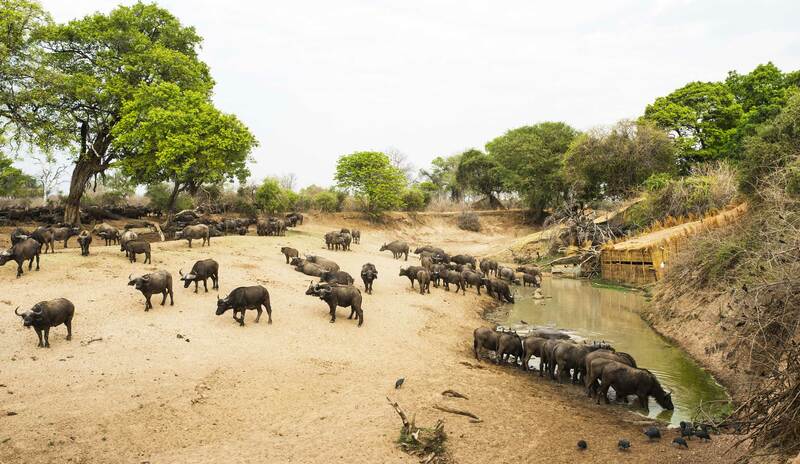 Set on the banks of the Mwamba River — a tributary of the Luangwa — the Mwamba Bush Camp is shaded by evergreen ebony trees and overlooks two waterholes. Both waterholes have a wooden and purpose-built hide perched over them; ideal spots for photographing or quietly observing the animals. 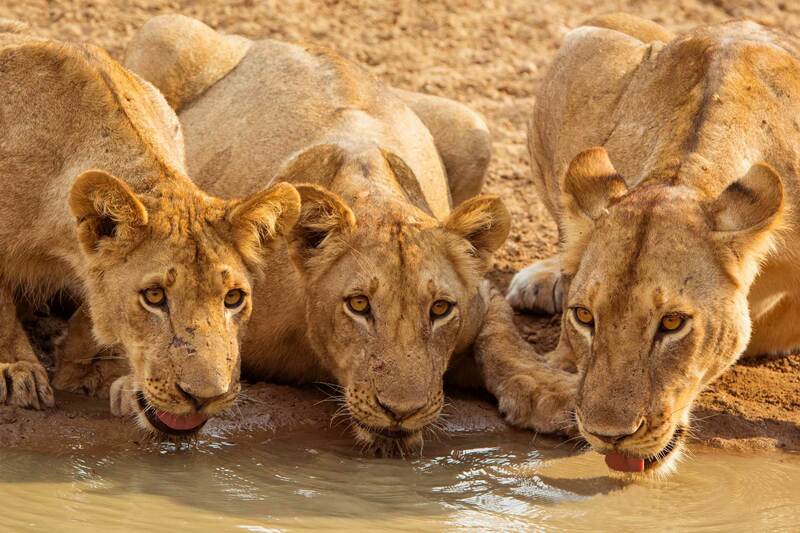 I visit the camp during October when the sun beats down relentlessly and most of the rivers and waterholes are dry. To counteract the effect this has on wildlife, the Shentons fill a single waterhole with water each day. 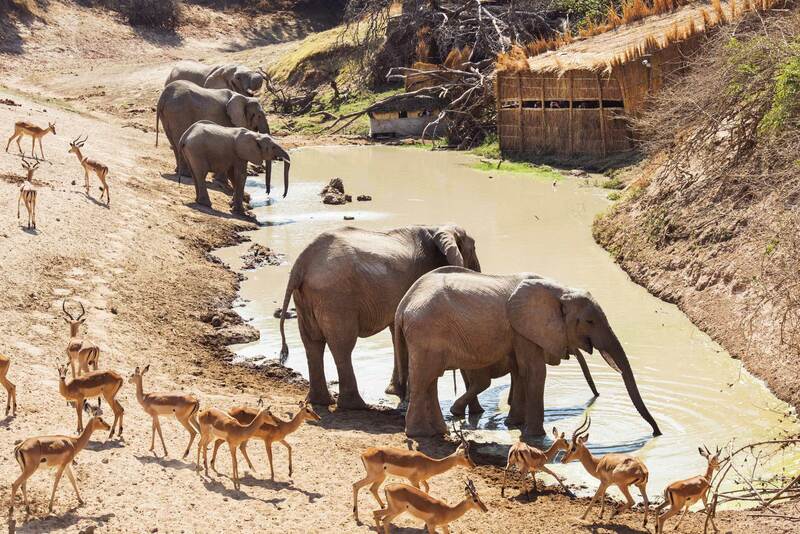 Located next to a hide, ‘the last waterhole’ is an oasis of wildlife activity. We arrive at the hide early one morning and settle down to take in the action. We hear the sound of baboons signalling that a lion is close by. A large group of impalas flees the waterhole area to the safety of the bush as a lion jumps up the bank. We can see that the lion isn’t going anywhere, he’s trying to hide on the top of the bank with a group of lions. With this being the only waterhole left in the area, it’s an excellent location to watch and hunt vulnerable prey. Swarms of birds swoop down to sip the water, then fly away allowing the next flock to do the same. This magical, aerial dance continues for at least half an hour. The impalas persist in trying to reach the water, but they can smell the lions and not one of them dares to get close enough to drink, despite their obvious thirst. Each time they hear the slightest noise, the impalas retreat. A while later, a young impala creeps to within a few feet of the water’s edge and others follow. A lion in desperate need of a meal spots the impala and steals down the bank. It’s only 8:30am and the lion is already exhausted from the heat. Alerted by a baboon, the impalas sprint off into the distance. A second lion heads down the bank and the pair begin to play; biting, lightly swiping and rolling around on the dry ground together. A third lion decides to join in, closely followed by two more young lions. It’s a magnificent sight, but the play is soon disrupted. As the lions relax and bask in the sun, a group of elephants approaches the waterhole; I’m amazed at how these massive creatures can appear without making a sound. When the elephants spot the lions their ears go back, they roar and charge. The lions waste no time running for their lives. Harmony is restored to the waterhole. The elephants fill their trunks with what seems like bucketloads of water. Once the drinking is finished they use their trunks like a spade; digging up mud to throw over their giant bodies in an attempt to cool down. Thirsts quenched and bodies cooled down, the elephants leave the waterhole as silently as they arrived. The impalas return and drink, the birds reappear in their thousands and the morning’s cycle is repeated. Extraordinary Africa can arrange a five-night safari to Mwamba Bush Camp from £4,175 per person. The package includes international flights from London, domestic light aircraft flights, accommodation, all meals and drinks, internal transfers, park fees and three game-viewing activities per day.